DC Universe, streaming service home to Titans, Harley Quinn and more to launch in September – AiPT! DC’s digital streaming service and inaugural series ‘Titans’ get official release dates. The Twitter announcement coincided with a livestream from filmmaker/comic book writer Kevin Smith, who revealed that Titans, the service’s first original show, will premiere at New York Comic Con on October 3rd and October 12th on the streaming service itself. 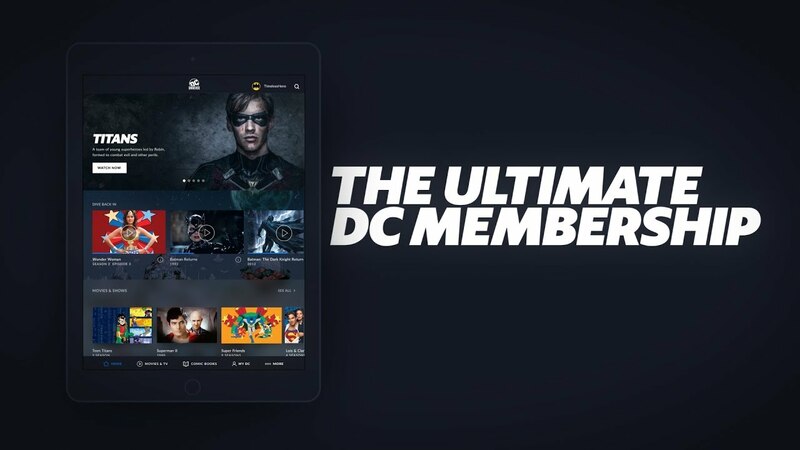 In addition to exclusive DC television series, the service will feature “a curated list of modern and classic digital comics on [DC’s] world-class comic reader,” a daily news program, exclusive merchandise in their member’s only store, an interactive encyclopedia and premium rewards — “like tickets to exclusive events– just for being a member.” DC Universe’s pricing plan: $7.99 a month, or $74.99 for 15 months (the first three months are free for subscribers who pre-order at DCUniverse.com). Will you be subscribing to DC Universe? Are you looking forward to Titans, Harley Quinn, Young Justice and other features? Let us know in the comments.